UIIC Assistant Prelims exam is going to be held at 22nd September 2017. We hope all of you are preparing well. This is the crucial time in your preparation. Focus more on your strengths and do not practice the questions which are not your strength. 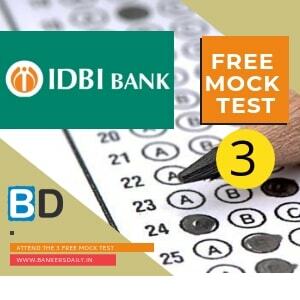 To help you in your preparations, we are going to provide 3 mock test series starting from today. Take this tests and boost your Preparations. Get section wise analysis and feedback after attending the Tests.